Sailing is offered as a daily “Block” activity meeting the campers go for all morning or afternoon. In sailing, we teach knots, parts of a boat, types of sailing, and how to sail. One of the first things boys learn is how to “right” the boat if they capsize. Then they sail with a counselor or another camper. 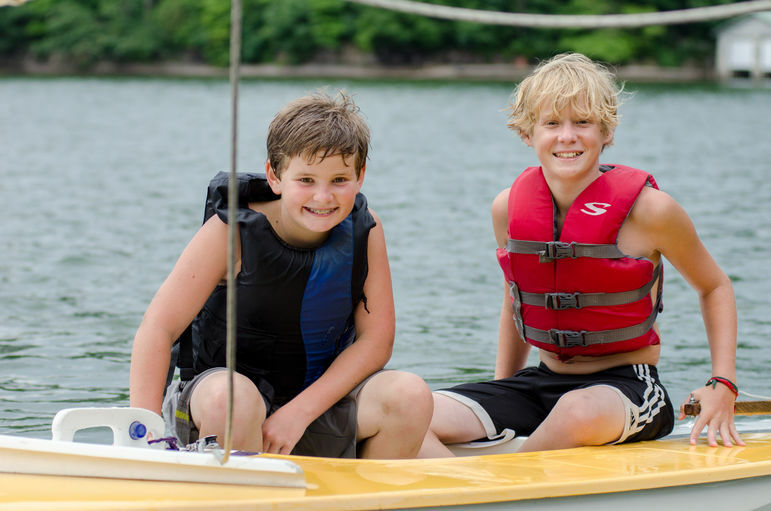 If you progress in sailing, campers can try sailing solo. Falling Creek’s sailing facility is located about 10 minutes from camp on Lake Summit. Lake Summit is approximately 300 acres and has about 10 miles of shoreline.